The anthem of Brazil, medal ceremony style again. Where are our Brazilian members complaining about the shortened version of their anthem? Unlike the Olympic handover, they now show Rio in a video. And they are wearing bizarre costumes again. Well it started out looking so promising. A dance battle with some wheelchair dancers. That's what I thought as well. It looks like a Eurovision Song Contest intermediate act. Come on, where's the classic Bossa Nova? Or is my music taste too old-fashioned? Well, this handover made look the Olympic one like a masterpiece. Don't get me wrong, i wanted so much for Brazil to put on a good show for these little handover bits. But oh god that was horrible. So so crap. They need to thank the London 2012 people so much for the fireworks at the end, only good bit. And once again, the Rio handover leaves me with the thought, "And THAT's it????" Actually I have seen the olympic handover again a couple more of times and I like it more now, though it could still have been much better. Sebastian Coe giving a very personal and touching speech. He mentions 7/7 now, the first time this has been done that openly in the Olympic or Paralympic ceremonies. He is very good at this sort of thing. Standing ovations now for the Games Makers. How touching. They were really the true heroes of these Olympic and Paralympic Games. They deserve a monument. 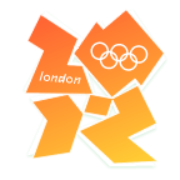 Coe says farewell to the Games with the words: "London 2012 - Made in Britain". Very nice! Being a Games Maker based at the village has made the past 2 weeks truly incredible and unforgeable. The audience's applause at the stadium to all of the Games Makers is stunning. Craven: "The greatest Paralympic Games ever!" Sir Craig: The greatest paralympics ever! Now a big "oooohhhh" when Craven closed the Games. Extinguishing of the flame...the last flame. A wonderful personal speech as well. Now they'll extinguish the flame. Emily Simmonds and Johnnie Peacock are introduced.